Conceived to design watches in collaboration with independent watchmakers, Massena Lab has just unveiled its first timepiece, the Erwin LAB 01 by Habring2. Featuring a black gilt “sector” dial and polished bronze case, the Erwin LAB 01 is actually a twist on the limited edition made for watch forum TimeZone last year. 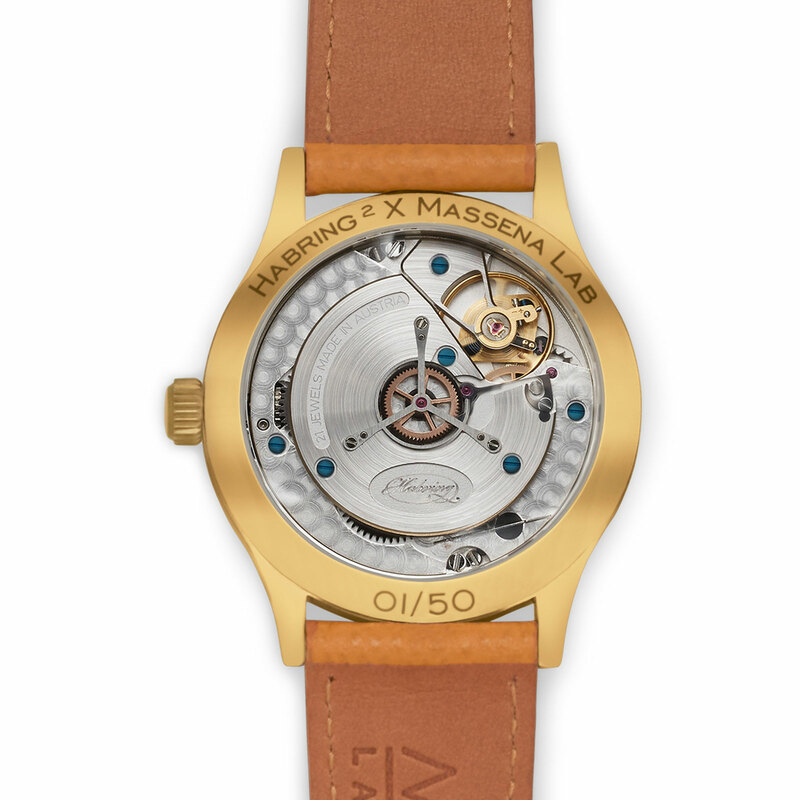 That’s because Massena Lab was founded by New York-based William Rohr, a veteran collector and industry insider who wears several hats in watchmaking, including as managing director of TimeZone, where he helped develop the Habring2 edition. The brand name comes from Mr Rohr’s pen name of William Massena, inspired by Andre Massena, one of Napoleon’s marshals. The Erwin LAB 01 features what is sometimes known as a “scientific” dial, with the dial divided into sectors for easier time measurement. 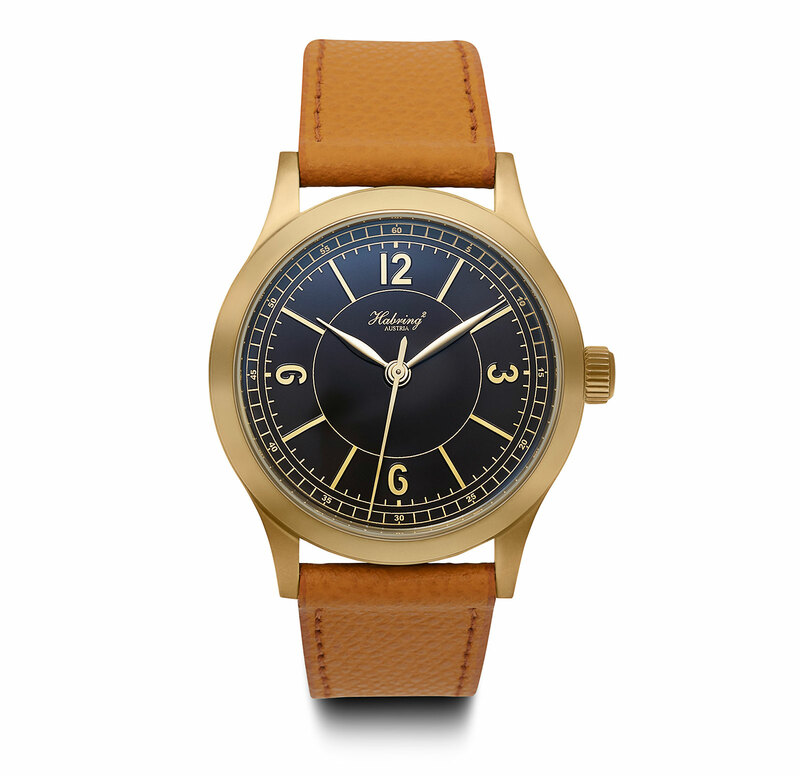 It’s a typical 1930s style – but all the rage right now – and finished with a glossy black lacquer, while the bronze-coloured markings are raised. It’s powered by the A11MS movement, part of the A11 family of movements developed by Habring2. Loosely based on the robust Valjoux 7750 but heavily modified and significantly improved, both technically and visually, the A11 is used here in its most basic, time-only form. Its key feature is a deadbeat seconds hand that ticks in one-second steps, driving by the gilded wheel and click spring visible in the centre of the movement. Rated to 50m, the watch case is 38.5mm in diameter and 9mm high, and made of a bronze alloy containing a good proportion of aluminium. 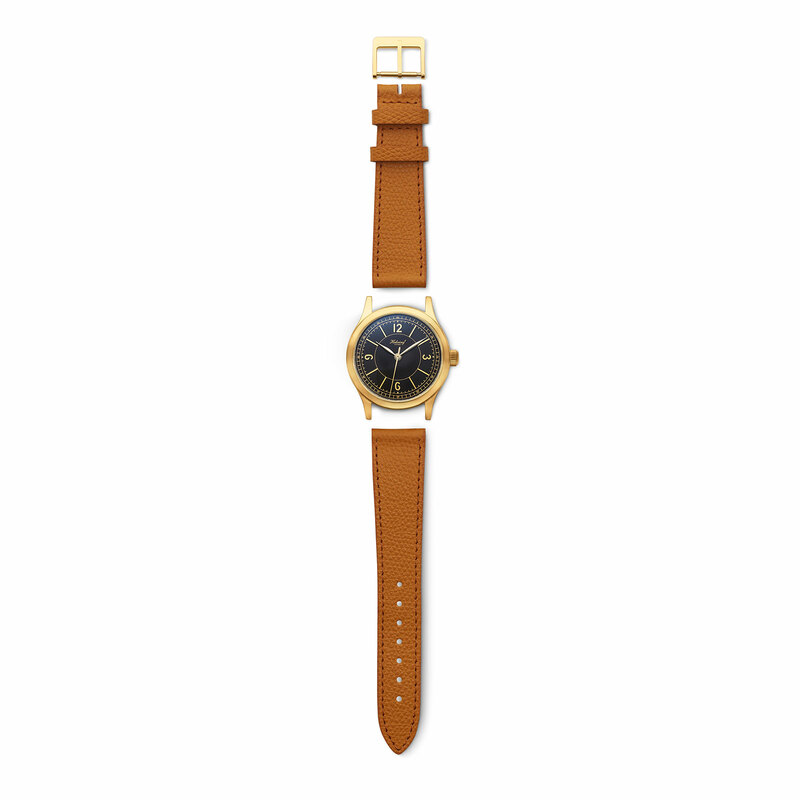 The make-up of the metal means it will develop a brown patina as its surface oxidises, instead of the greenish ageing found on most bronze watch cases. 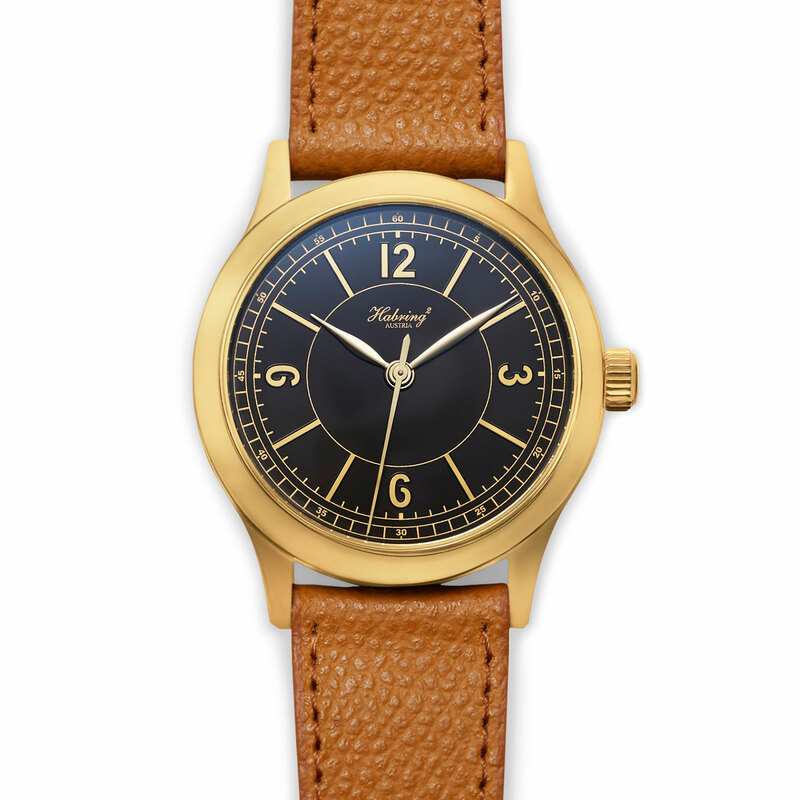 The bronze case is matched with a bronze buckle, which is made by Austrian rifle maker Werner Bartolot. 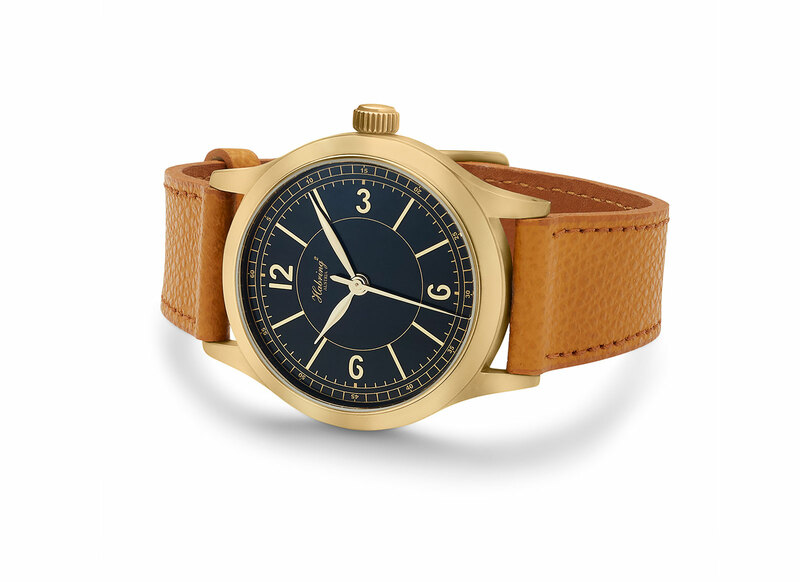 Massena Lab has an exclusive on bronze case Habring2 watches. The Erwin LAB 01 is limited to 50 pieces priced at US$5995, available direct from Massena Lab. Addition November 16, 2018: Added the origins of the Massena Lab name as well as the fact that the case is polished.